Experts say that there are societal trends in play that are precipitating a return to pre-industrial era ways of survival. In the face of changing economic realities and disillusionment, many people are questioning the ways they currently make money and are seeking alternate means of income. But, instead of simply getting another job, or opening a fast-food franchise, many are instead asking, "What am I good at?" "What's my passion?" Today's trends are all pointing to a move back to the way things were. At the very least, as the economic landscape becomes more uncertain, people need to look at options for increasing their streams of income. It may be only way to survive. However, there is also a new awareness developing among those who are seeking to flex their entrepreneurial muscles. The question this time is: What sort of business does it make sense to start in these times of global change? To lay the foundation for my response, I'd like to introduce you to a term with which you're probably already familiar. The term is "catalyst." As you may remember from high school chemistry class, a catalyst is a substance that ignites, sets in motion, or speeds up a reaction without itself being affected. In life as well, every experience is a potential catalyst. Your flat tire, the argument with your spouse, your unhappiness at your job--all are potential catalysts. Because of the free will inherent in our experience here on the planet (we have the freedom to choose our responses), the reaction that a catalyst can spark is entirely under your control. All catalysts are designed to offer a challenge or lesson. There are only two possible paths one can choose from in response to a catalyst: It can be accepted or it can be controlled. The path you choose will be determined by your orientation. If you are oriented towards service to self (your own comfort), you will make one set of choices. If you are oriented towards service to others, you will see and choose from a different set of choices. When faced with a catalyst it is important to understand that we are here to evolve in the direction of our orientation, and without life's catalysts, the desire to evolve and the faith in the process do not normally manifest and thus evolution does not occur. So don't rail against the changes and situations. Accept them as a natural part of the experience designed to help you grow. Life is really that simple. Things happen. You choose your response based on your orientation. You evolve in the direction of your choice. When neither path is chosen, the catalyst fails in its design and you proceed through life until some other catalyst appears which causes you to choose again towards acceptance and love or toward separation and control. It's a basic law of this dynamic, ever-changing universe that there's no such thing as something "staying the same." Things are either expanding or contracting, increasing or decreasing, getting better or getting worse. Even the metal or hard plastic computer or sheet of paper on which you are reading these words, as solid and as stable as they seem are all slowly decaying and deteriorating. Come back in a few dozen years, and you'll see the effects of decay over time. If you know this, then you can look at everything from business phenomena to romantic relationships a little bit differently, and can perform what some might consider fortune-telling simply by asking, "where is this heading?" Every business, every situation, every relationship is either getting better or getting worse, growing or shrinking, going up or heading downhill. Therefore, as long as you can honestly assess what you observe or experience over a given time frame, you can "predict" where something is heading and take any evasive or remedial actions as necessary. Now having said that, let's examine some observable facts and trends that are catalysts occurring right now and that will affect the future, and to which we have a choice of response. 1. The earth is going through changes. Global warming is a reality. Temperature fluctuations are affecting access to water, arable land and other resources for a growing segment of the world's population. These and other physical, climatic, and cataclysmic changes are observable. 2. "Peak Oil" is a reality. The term "peak oil" refers to the peak in the world's oil production. The amount of oil available on the planet is finite. There is a point in oil production whether within a single oil field or the entire planet, when a maximum is reached. Once that maximum rate of production is reached, the rate of oil production (as well as the profitability of extracting it) on Earth will enter a terminal decline. The challenge this presents is that while the SUPPLY is declining, the DEMAND for oil (and the plastics, electricity, etc, which are oil-dependent) continue to increase as population and industrialization continue to grow. It' said that US oil production peaked in 1970. World oil production, it is said by some, peaked in 2005. After a peak, production slows, profits decrease, and prices rise. You can already see the effects of this as gas prices start creeping upwards. 3. Corporate downsizing persists More and more companies are outsourcing, downsizing and offshoring in an effort to cut costs. Companies, particularly public corporations, are bound by their charters and by law to seek first the profitability of their shareholders. That's why the decisions these companies make often seem less humanitarian and more profit-inspired. That's because they have to be. 4. Global power and focus is shifting China and India are growing economic forces. They represent sources of labor, consumers, as well as increased oil and energy demand. Companies the world over in Europe, (Romania and Poland most recently made news) and the US, are importing laborers from China, or outsourcing skilled jobs to India. As a potential entrepreneur, indeed as a nation, the opportunity exists to predict, anticipate, prepare for and position oneself for the effects of these trends. Don't wait for mainstream news broadcasts to confirm this. Don't expect politicians to make it part of their agendas in time. They are operating from a different agenda. Those who seek to rule the world are by nature unlike those of the world they seek to rule. As I said, there is always either a lesson or a challenge. Within the context of these trends, the economic condition, and by extension, your unique situation is a catalyst that provides an opportunity for you to respond in search of a lesson or a challenge. As potential entrepreneurs, if we choose to rise to the challenge, using what we know about predicting the future, the question becomes first: What's going to happen as these trends and catalysts continue? And then more importantly, what shall I do in response to these happenings? Where should I look for the opportunity? What sort of business would I start? And finally which business path offers the most opportunity for service to others? Now there are those who would ask, 'which path offers the most profit? ', but that's a service-to-self orientation. We need a new paradigm. I suggest, as motivational speaker Zig Ziglar is credited with saying: that if you help enough people get what they want, you automatically get what you want. There's another important trend that I believe is important to factor into this equation, and it is this: The continued growth upon which the current economic model is based cannot be sustained indefinitely. Infinite growth based on finite resources is unsustainable. Growth based on the exploitation of others is unethical and untenable. Yes, China and India are both ideal sources of labor as well as the next great frontier for consumerism. The rest of the world's industrialized, market-driven, capitalist, consumer-oriented companies and entrepreneurs know this as well, and are rushing to position themselves. However, the gold watch-sporting, cola-drinking, junk food-eating, luxury car-driving, soap opera-watching, video game-playing lifestyle upon which these companies rely to support their spiritually vapid, environmentally-depleting and mindless products, while exploiting the poor as the labor source, is on an inevitable decline. Global consciousness of a more serious nature is actually on the rise (it's just not being reported). So if as a result, you see, as I do, the potential crash of the entire economic system upon which this model hinges, then you might agree that basing a new industry or business idea on such shifting sand, while perpetuating a soon-to-be outdated business model that separates and destroys the family structure, enslaves communities, while perpetuating indentured servitude is not a desirable course. So, here is the challenge in a nutshell. The current model is unsustainable. We need to survive. However, our survival is based on buying into a definition of success which perpetuates the very model which is threatening our survival. What then, should be our best course of action? How do you survive in an economic system that is threatening your and its own survival. Answer: You sell survival. 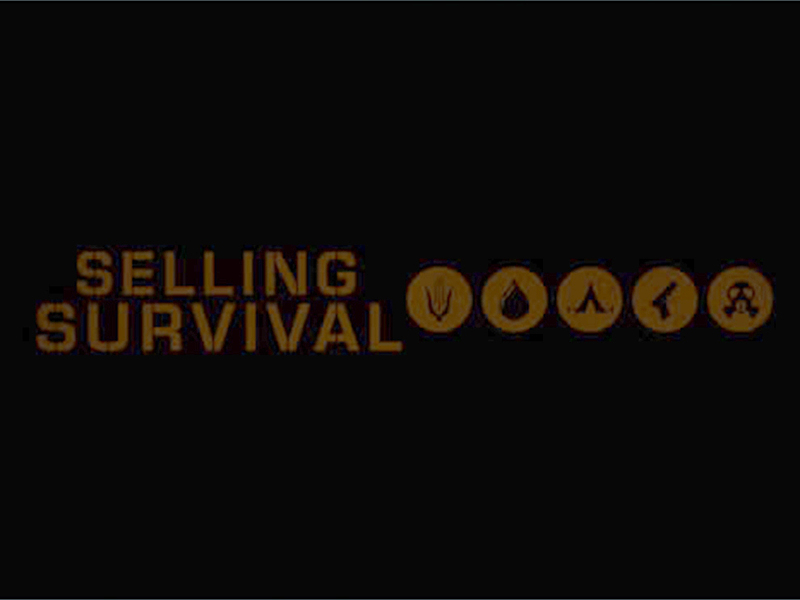 That's right, the game is changing to one of selling survival. Right now others in the know are mobilizing to prepare to offer you their solutions. But what they offer won't be real solutions. They will offer products, services and a paradigm which perpetuates their control and their individual survival. In some parts of the world, companies are already charging the population for access to clean water, and some are selling seeds which have been genetically altered to produce single-generation crops forcing farmers into a cycle of having to purchase new seeds every season just to survive. But how do you survive in good conscience by profiting from what others need to survive. 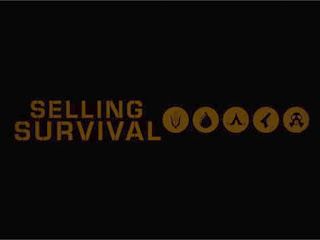 Therein lies the paradox of selling survival. Why not start your own brainstorm session to come up with some unique business ideas based on the suggestions above? Wouldn't it be nice to jump ahead of the entrepreneurial curve and start or join an industry, or launch a new business idea that helps the most people, prepares for coming earth changes, empowers rather than exploits the labor pool, reduces dependence on diminishing energy resources, offers the consumer real alternatives, while at the same time offers the world a new paradigm and consciousness as it relates to survivability, sustainability, adding our voice and actions to the very change in consciousness and alternate paradigm that our very survival necessitates? Yep, that would be pretty cool. And that's what I would do if I were starting a business.